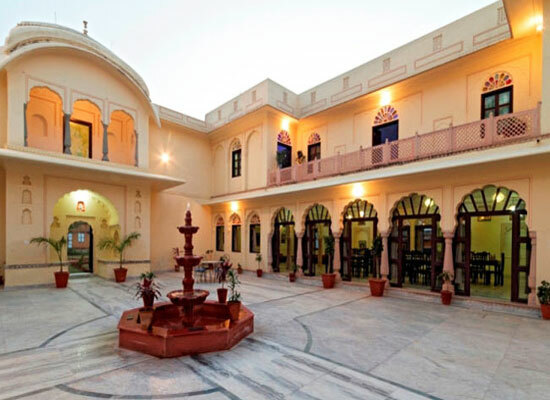 "The Dhula Garh is one of the lavish heritage hotels of Jaipur. The former ancestral property of the Dhulas has been opened for the guests to enjoy the bygone days. 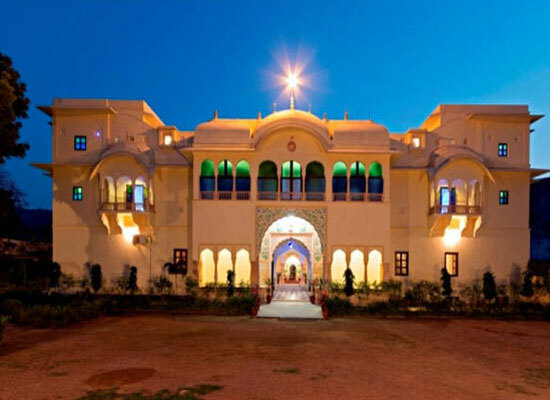 The 18-room property is settled in Dhula Raoji, a pictorial village like setting on the outskirts of Jaipur. Enjoy a royal vacation in the extravagant property. Dine and enjoy he pleasures of the hotel. The village is quite close to the desert sand dunes and makes it possible for guest to try camel, horse and jeep safaris. 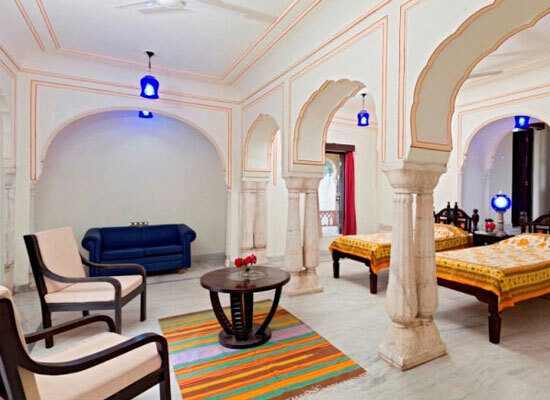 The Dhula Garh in Jaipur is the home of Dhulas. Rawal Dalel Singh, 5th chieftain of Dhula built Dhulagarh in 1767. The trusted noble of Maharaja Sawai Jai Singh II of Jaipur, had served as the commander in chief in numerous battles, including the well-known battle of Maunda and Mandoli. Though the war was won, the founder of the haveli died in the battle along with his son and grandson. The family of the brave Rajputs still live here and now share their ancestral haveli with guests. 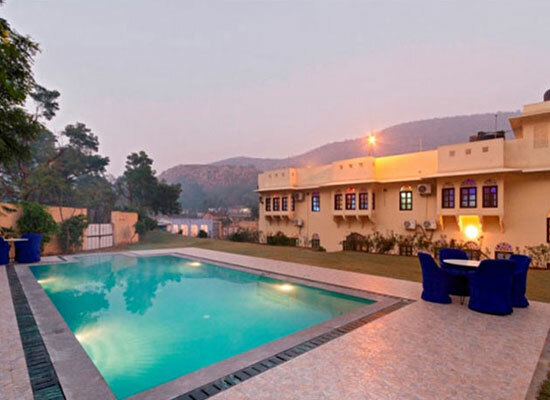 Accommodation at Dhula Garh offers the experience of a wonderful heritage stay. All rooms are tastefully decorated to appeal and comfort guests. Each of the rooms have its own theme, which reflects in the furniture, style and color schemes. Incredible 'Heritage Stay' experience is assured in every accommodation. 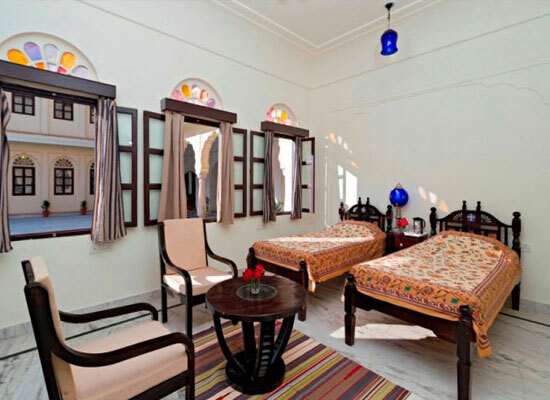 The royal deluxe rooms at Dhula Garh have attached washrooms, period furniture and furnishings. The light, airy and spacious rooms recreate the olden days. Royal Suite rooms are lavish accommodation in the property. Attached washrooms, sunlight, breezy windows, antique furniture and furnishings entice guests. The lavish comforts make stay for guests truly memorable. 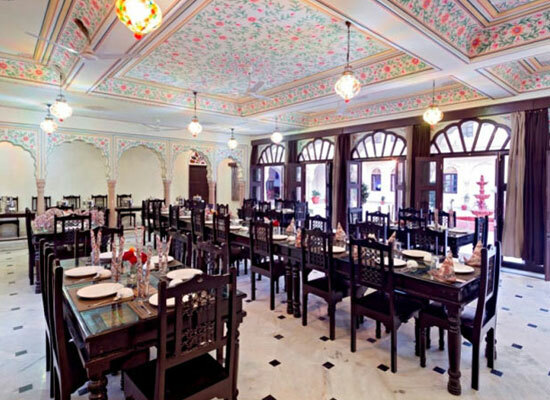 Dining at Dhula Garh is equally pleasing. Serving Indian and international cuisines apart from the local delights of Rajasthani food, the restaurant entices taste buds of all guests. Enjoy the beautiful view of the Dhula and surroundings as you enjoy authentic home cooked flavors. Jaipur, Pink City is the capital of Rajputana and home to many historic and cultural remains of the bygone days. From massive forts, antique havelis, to some of the most inspiring architectures of Rajasthan, the city has it all. The bustling city is known for traditional hospitality, amazing shopping, pleasant dining and many more experiences of the enriched cultural legacy.